TRAILVIEW was created to make your life easier! 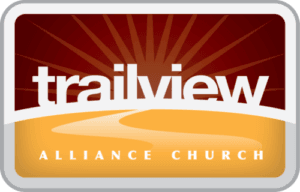 It's the central hub for everything happening at Trailview. Just swipe or scroll through to find information, register for events, give online, submit a prayer request, find a place to serve, fill out the electronic connection card, digitalize each week's sermon notes (coming soon) and more! To have quick access to TRAILVIEW, follow these simple instructions to save it to your devices for future use. • Name it Trailview and tap "Add"
Church Center App by Planning Center is the fastest way to get information about your church, browse & join groups, register for events, check-in your kids for kids church and give to your church on iOS and Android!